If while living in New York City all you ate was Hamburgers, well you would never run out of great Burgers to eat. Our Burger bounty is certainly a blessed Cornucopia of tastiness that knows no bounds. But then you would miss out on all the other awesome eats this top rated Food city has to offer. With so many choices though, it can be hard to pick something to eat. We have great Thai, Chinese, Steakhouses, Greek, Italian, Bao, Banh Mi, Tacos, Sandwiches, Salads and just about everything else, especially the PIZZA. Oh man. I’m sure you’ve heard it and it’s true, even the worst NY Pie is still better than a Pizza anywhere else. What should one do in NYC should the impossible of math equation of choosing between eating Pizza or Hamburgers arise? 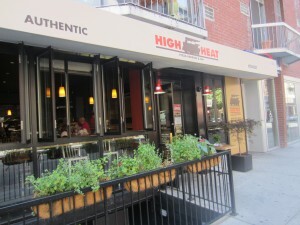 Head down to Bleecker Street in NYU territory and visit Go to High Heat: Pizza Burgers & Tap. 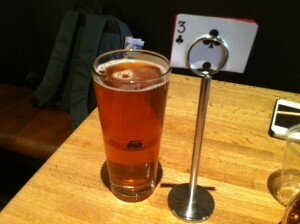 In this new mini-bistro, gasto-esque quick server restaurant you’ll find 5 things: 1. Burgers, 2. Pizza, 3. 8 Draft Beers, 4. 8 Draft Wine selections & 5. House-Made Sodas. It all comes from Chef Waldy Malouf most notably known as the culinary oomph behind New York’s Beacon restaurant. Waldy is known for his passion for grilling and roasting which he laid down in the pages of his book “High Heat.” Chef Waldy has taken his experience, passion and knowledge and combined them to create a quick server and delivery experience like none other available in NYC. Using the freshest and highest quality of ingredients combined with a very specific cooking style, High Heat: Pizza Burgers & Tap is sure to set a new trend in restaurants. 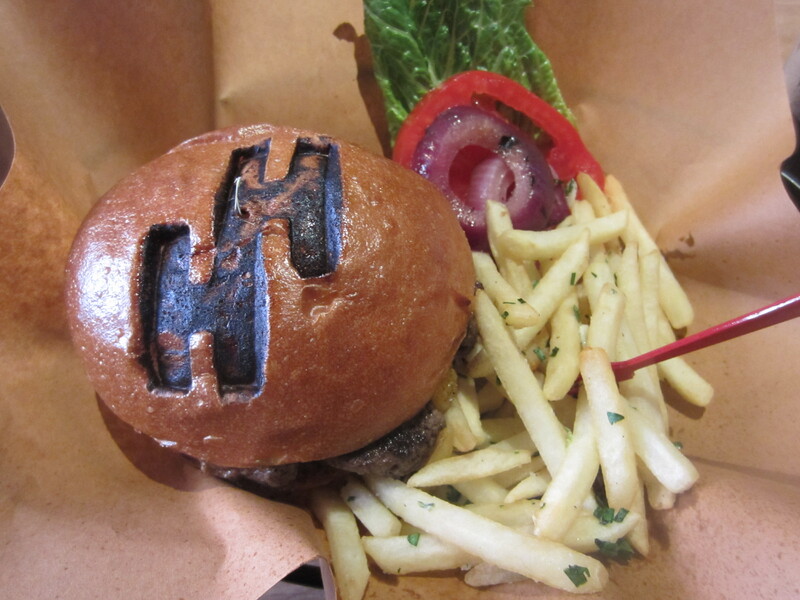 The High Heat menu offers a number of Burgers but I couldn’t see any reason to not order their name sake Burger. It comes with Cabot Cheddar, house-made Bread & Butter Pickles, Grilled Onions, Lettuce, Tomato & High Heat Sauce. The all-natural Beef tasting Meat has a seriously great char on it. You can really taste the smoke from the grill in every bite. The loosely packed Patty has a real juiciness that will make you think “this is how a Burger should be.” The sweetness of the Grilled Onions balance well against the Spicy Mayo style of Sauce, the subtle smokiness of the Burger and the sweet Brioche bun. While I was chomping down the sandwich, practically sucking my fingers dry, Chef Waldy and his partner Jeff joined me for conversation. That’s when I learned they use a blend of 75% Black Angus Shoulder mixed with 25% dry-aged Brisket. It’s specially made for them by DeBragga and Spitler, a purveyor well known for supplying some of the best certified Angus Beef around. 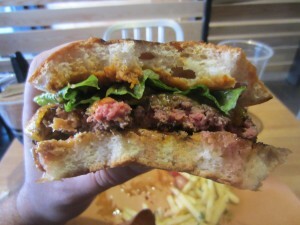 I knew there was something special about the Patty and it turns out, it’s more than just the right selection of Beef. Chef Waldy uses a triple cooking process to ensure the perfect Burger. First it’s seared on a flat griddle at a very high temperature. Then it’s transferred to a grill to give it that real char flavor and it’s also smoked at the same time to help lock in the taste. Wow. Talk about artisan product and preparation! As for the Pizza, it’s damn good too! 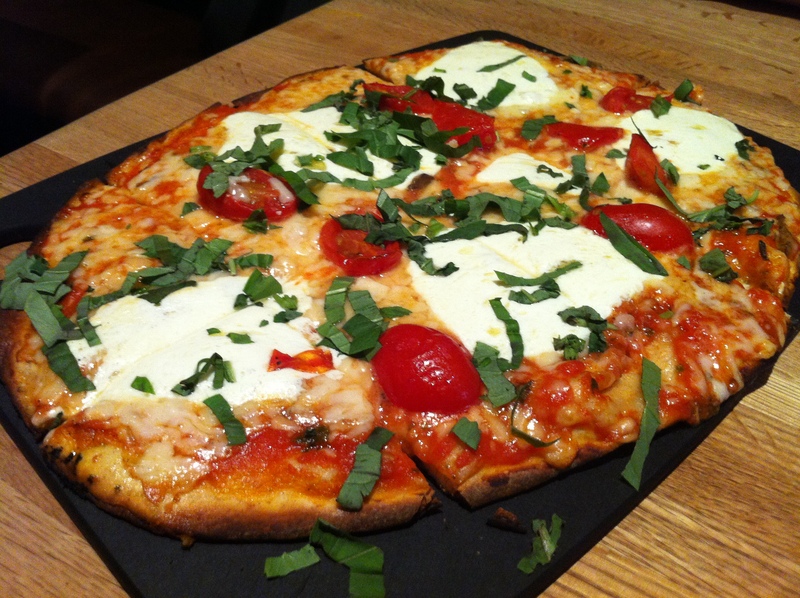 High Heat serves a thin crust, wood-fired style of Pizza, not unlike that of what is traditionally served in Italy. The basics are where the tradition ends as they use some non-traditional toppings like BBQ Pork, Egg & Clams. 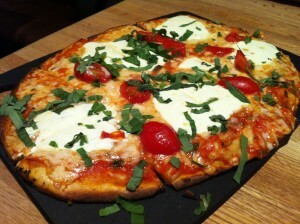 I went with the very simple Margherita because I really like to judge a Pizza on it’s Red Sauce. High Heat’s is tangy, just a little spicy and has the natural tomato taste you can only get from using the good ones and cooking with time, care & precision while using only the best of Italian spices. Not having to make a choice is the new choice at High Heat: Pizza Burgers & Tap with not only great Hamburgers but also fantastic Pizzas and a selection of well-crafted adult beverages to wash them down with. High Heat: Pizza Burger & Tap scores a 6 on The Rev Meter. This entry was posted in Beer, Burgers, Gourmet Burgers, Hamburgers, New York and tagged "Chef Waldy Malouf", "DeBragga and Spitler", "high heat nyc", "High Heat Pizza Burgers Tap", "high heat", best burger nyc, burger conquest, cheese, ciancio, french fries, hamburger, new york, ny, nyc, rev, review, the rev meter for social community. Bookmark the permalink. Outstanding burgers! Mushroom and onion pizza is my favorite. The best ever!! And I’m not being biased. 🙂 try them and tell me otherwise.